Give me a chance to explain before you swell up with hatred for anyone who is or has experienced this image in the last week or so. Last week I was right there with you. Scoffing at good ol’ Joe Nichols singing cheerfully about somewhere sunny and 75 when we were in the midst of our umpteenth inch of snowfall, just waiting on the next polar vortex to come our way. But I’ve seen the clear blue water with my own eyes, folks. I felt the warm sun on my super pale skin and I absorbed enough vitamin D to get through these next 6-8 inches of snow that are due today. Temp: Unseasonably warmer than 75. 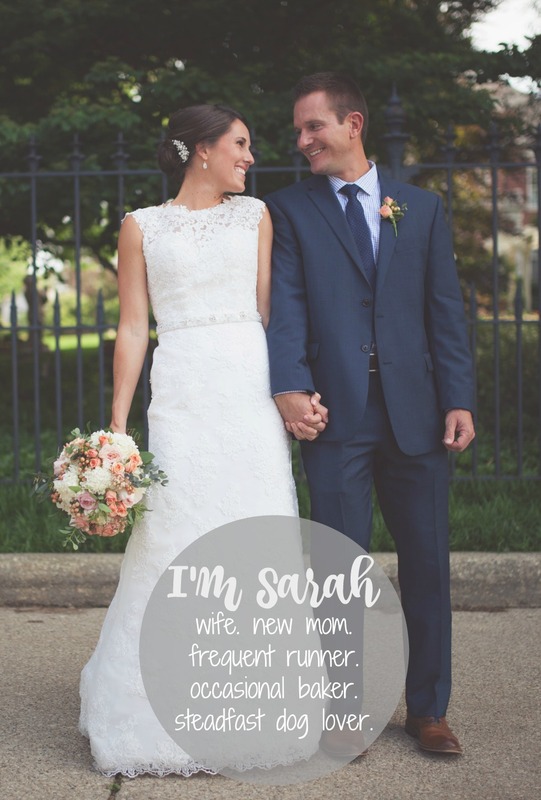 Instead of cursing Joe Nichols and wallowing in my winter blues, I decided to do something about it. And while I wasn’t sure I would make it out at times after a few days of flight cancellations, I’m very grateful to have left Chicago and spent time in the Florida sun, even if it was only for approximately 72 hours. On Saturday morning, I went for a long run along the river. At least I thought it would be a long run. The riverwalk ended about a mile later so I made my way back and circled some of the neighborhoods near our hotel for the last few miles. There was a farmer’s market just a few blocks away so I stopped in to browse the produce and, wait for it, puppies. That’s right. 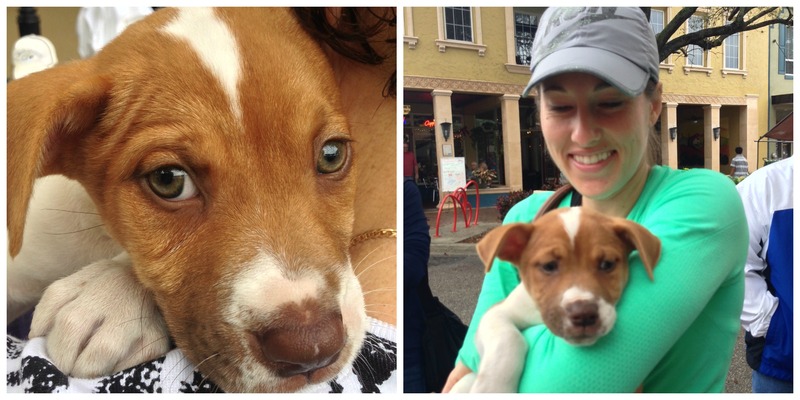 A farmer’s market with puppies. As if the temps hadn’t already melted my heart, this little lady sure did. Had it not been for a flight back and a very large older brother, I’m pretty sure I would have walked away with more than just fresh oranges that morning. Just look at those eyes! If you’re in the area, check out Royal Pet Rescue to adopt a cutie just like this gal. 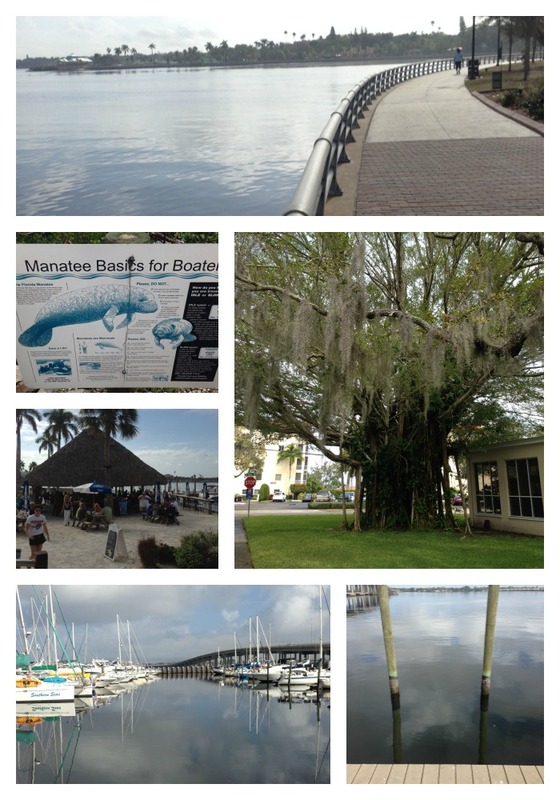 Saturday afternoon we headed down to Sarasota. 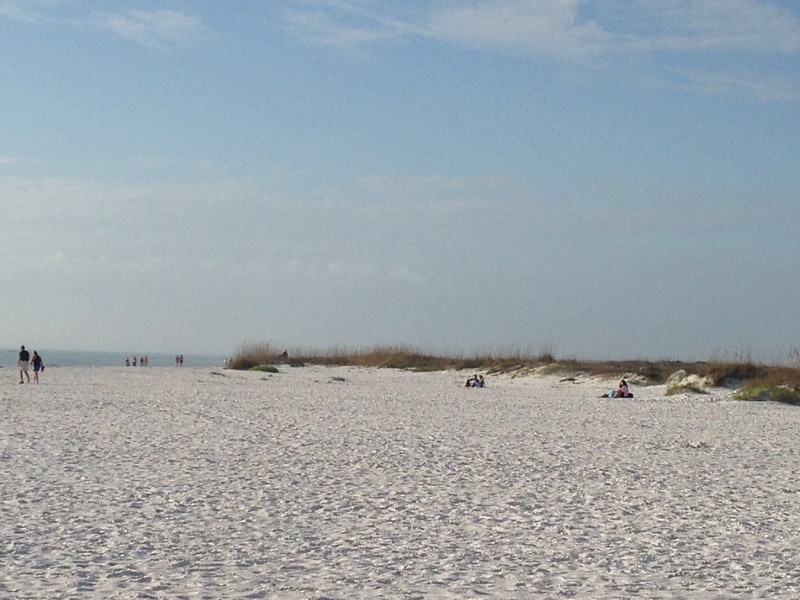 We hit up Lido Beach and nearby St. Armand’s Circle for a gorgeous sunset and dinner. 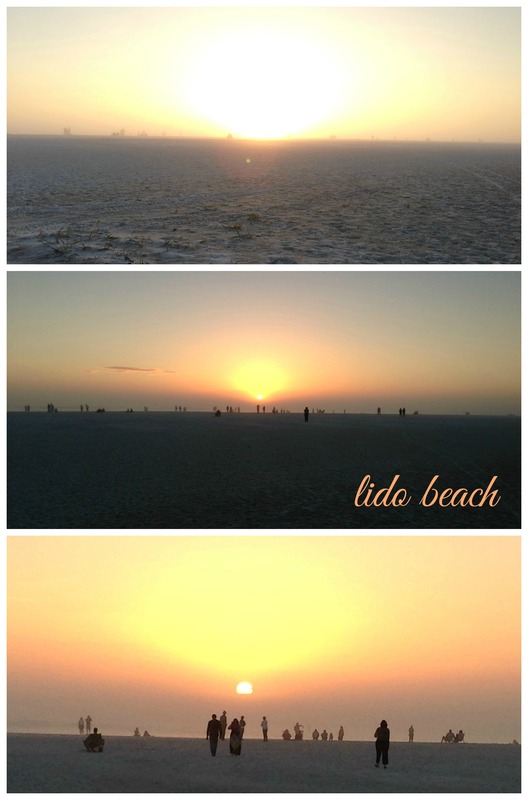 As the hours passed, a gorgeous fog rolled in from the gulf, making for an even prettier sunset. 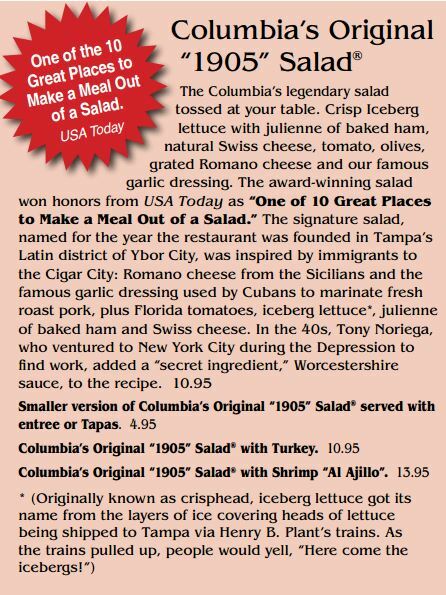 We had a delicious meal at local restaurant, Columbia, where we sipped mojitos, snacked on tapas and filled ourselves to the max on a small serving of their 1905 salad. This salad is no joke. And apparently neither was this couple. 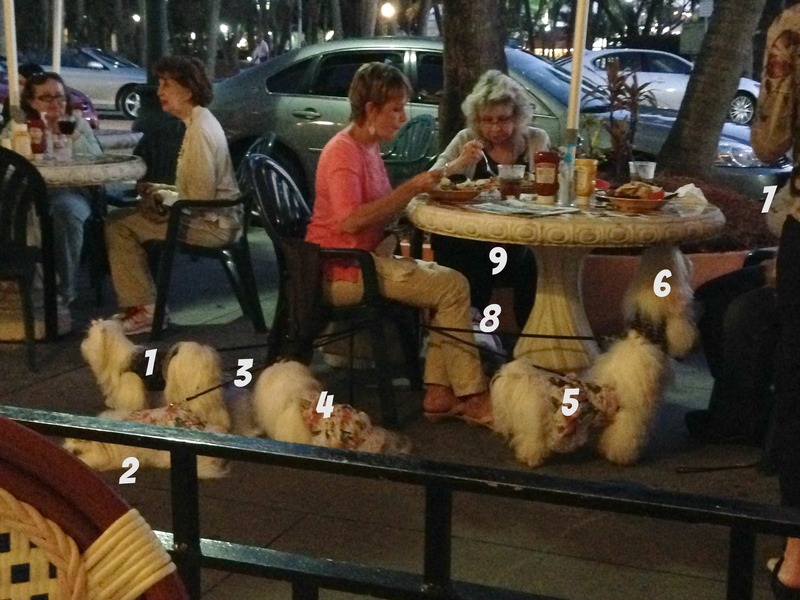 9 puppies dining. 9! At first I felt sorry for the couple and their friend who had two gray ones of her own. I felt sorry for them until they started handing out business cards to everyone who stopped to ogle at their army of go-go-my-walking-pups. I pictured 13 more at home with the dog-nanny. These being the pack leaders, winning enough points to get them to the big show. 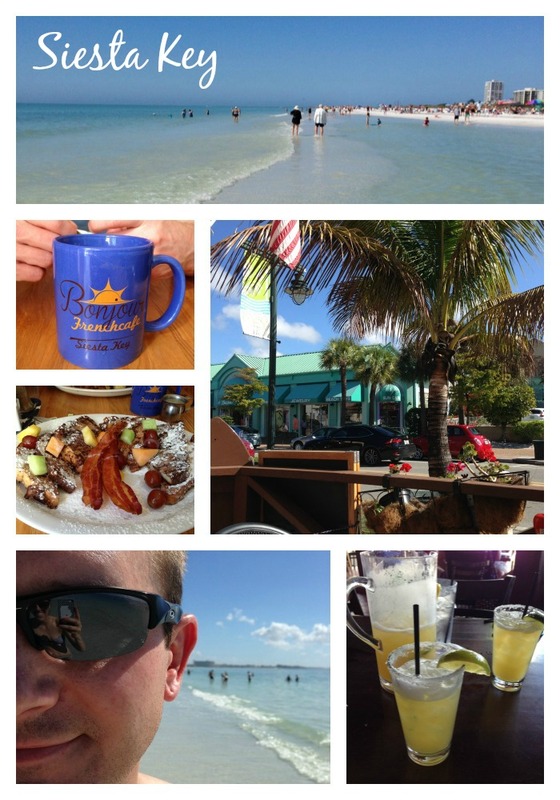 On Sunday we had an early brunch at a local french spot in Siesta Key and then spent the day at what some say is the nicest beach in the U.S. 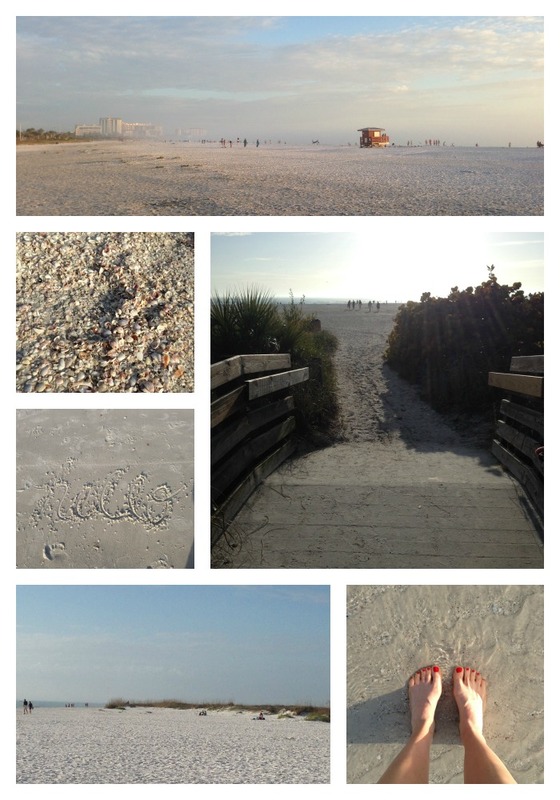 It was gorgeous, the sand like flour. I can only assume it’s prettier than the one the day before because it didn’t have shells but we’re getting pretty picky now. 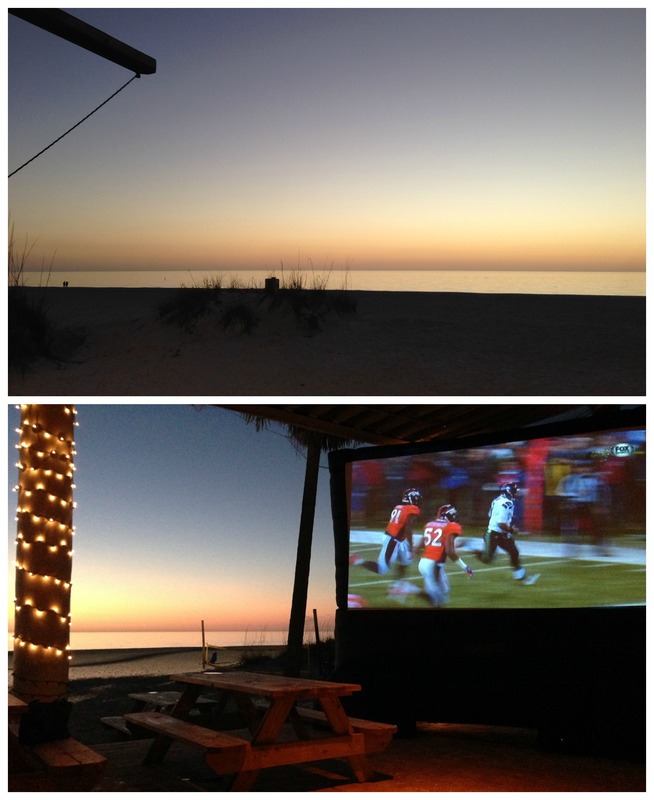 Sunday evening, we traveled up to St. Pete Beach to watch the Super Bowl with some friends. Can you believe this view? Please note I took more notice of it during the game than during the commercials. My inner ad geek goes crazy on Super Bowl Sunday. I’ll be back tomorrow for a Workout Wednesday post, vacation-style. Until then, just look at the pictures and know that there’s an entire state who has no clue what kind of ridiculous weather us Midwesterners put up with all winter long. Either that or they know exactly what we put up with and think we are crazy. Either way. Somewhere it’s sunny and 75.